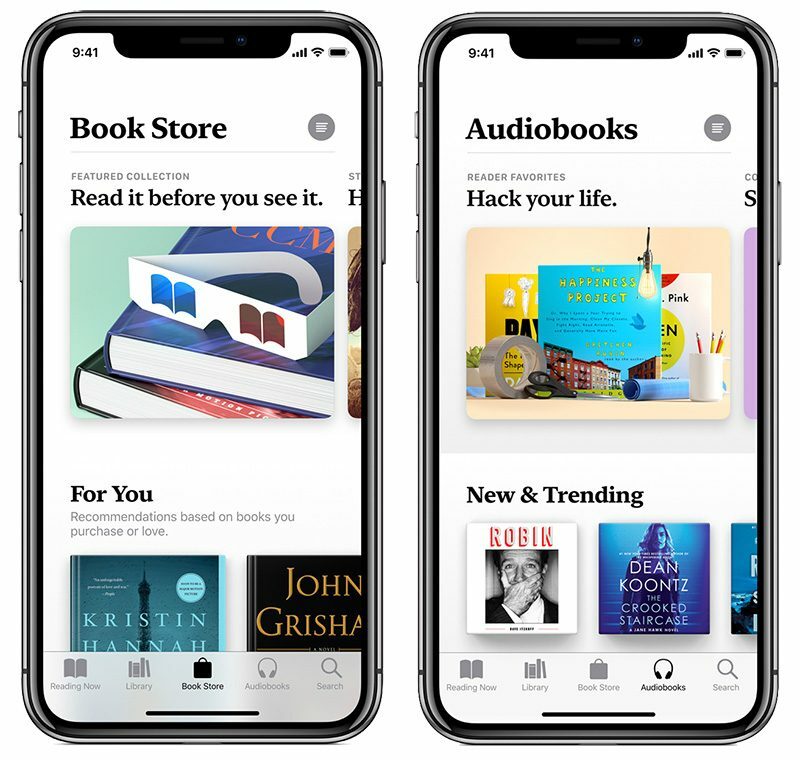 Apple today shared an in-depth preview of the all-new Books app for iPhone and iPad coming in iOS 12 later this year. Reading Now displays all of the books you are currently reading or listening to. A new “Want to Read” section allows you to keep a wishlist of books you are interested in. “Complete the Series” or “You Might Like” present books based on those you have recently finished. Library displays your full collection of books with large cover art, including the books downloaded to your device. There is also a “Finished” timeline of books you have read in the past with the dates you finished them. Audiobooks allows you to browse all audiobook titles available on Apple Books. Apple Books will inspire a love of reading — it puts a world of books and audiobooks right at your fingertips, whether you want to dive into your favorite story for a couple of minutes or a few hours. This is our biggest books redesign ever, and we hope this beautiful app inspires both customers and authors alike. The new Books app launches this fall, with the Book Store available in 51 countries, and free books available in 155 countries.